A lot of eyes have been on Litecoin since its inception. However, the digital asset has failed to live up to expectation. 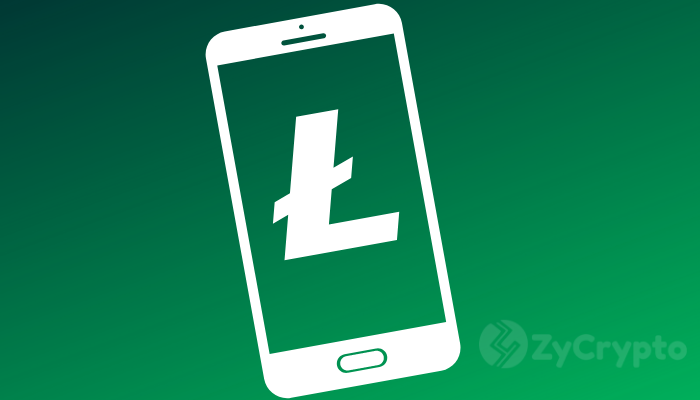 Litecoin has been unable to have an evident surge to the top without the pulling effect of Bitcoin. 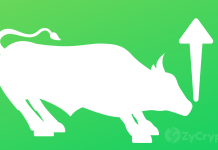 In the last seven days, Litecoin has changed into something else that has made cryptocurrency investors jubilate. 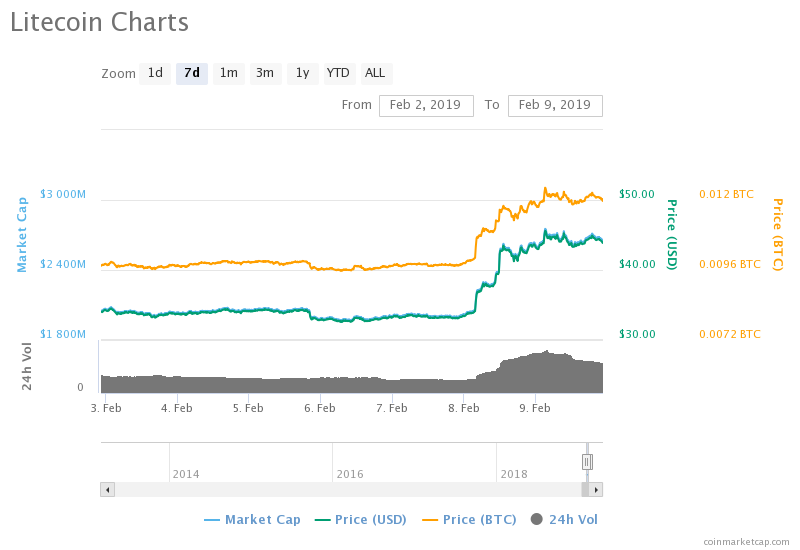 The coin moved out of its comfort zone to record a 35% surge in price making it the best performer of the week among the top ten cryptocurrencies. About half of its percentage rise came in the last 24 hours having recorded 18% over the previous 24 hours as at 10 AM GMT. What makes this run interesting is its current price and the potential it has to jump even ahead of Bitcoin. 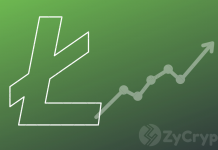 On 2 February 2018, Litecoin was trading at $33 but managed to hit a new price height of $43. From its current movement, it’s just a matter of time to reach over $366 as it did on 19 December 2017. Before anyone thinks that this good run is just a product of speculation; let’s go through its possible cause. Yesterday, the Litecoin Foundation announced on their Website that they have managed to form a partnership with a software development firm; Beam. The partnership was geared toward the need to solve scalability and privacy problem: MimbleWimble (MW). MW is partially a variant on private transactions which ensure that a value sent is obfuscated yet verifiable. 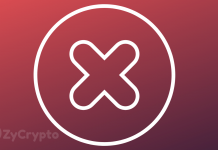 In this case, an amount transferred over the transaction network will remain unseen to outsiders but will be sure that the participants are not spending coins that are not available but a coin that is valid. The MW also presents an idea which ensures that multiple users can combine their coins to form a single transaction which makes it difficult to determine which input is intended to a corresponding output. This initiative facilitated the price surge as the digital asset recorded an 18% price increase in 24 hours as at 10 AM GMT. It is expected that this run will continue as more partnership deals and initiatives are in the pipeline. The news about the deal may have probably caused more investors to enter the market which might have caused the price to surge. With an available supply of 60 million and a total supply of 84 million, this coin has been marked as highly undervalued and can break forth anytime.